Thomas “Tom” H. Bienert, Jr. is a highly experienced trial attorney who handles the spectrum of litigation matters. 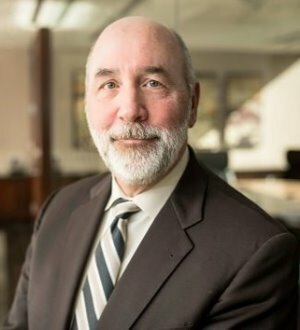 After spending ten years as a federal prosecutor and two years at a national law firm, Tom founded BMK in 2000 and steadily grew the firm to its current size through the addition of other trial attorneys. Since starting the firm, he has obtained many multi-million dollar verdicts for plaintiffs in civil cases, multiple zero-sum results defending civil lawsuits, and numerous non-prosecutions, dismissals, and defense verdicts representing clients in white-collar criminal matters. Tom’s cases have involved a wide variety of criminal and civil subject areas, including business disputes, civil rights violations, class actions, contract disputes, copyright infringement, defense contractor issues, environmental offenses, estate plan litigation, false advertising, fraud in many contexts, the Foreign Corrupt Practices Act (“FCPA”), health-care, money laundering, personal injury, public corruption, securities litigation, trade secret violations, unfair competition, whistleblower actions and wrongful termination. As a prosecutor, Tom served as Chief of the Orange County Office of the United States Attorney, Chief of Criminal Complaints in the U.S. Attorney’s Los Angeles Office, and as Associate Independent Counsel in Washington, D.C. During his decade as a government lawyer, he worked on a number of high-profile matters, including the Independent Counsel investigation of President Clinton, the Orange County bankruptcy, the UCI fertility clinic matter, the Reginald Denny beating case during the 1992 Los Angeles riots, and the “Operation Big Spender” corruption investigation of L.A. Sheriff’s Department deputies. Before starting BMK, Tom worked in the private sector at Irell & Manella. Tom is a fellow of the American College of Trial Lawyers, a member of the Association of Business Trial Lawyers, and a member of the Orange County Bar Judiciary Committee. He is also a former board member of the Orange County Criminal Defense Bar Association, the Orange County Bar Association (“OCBA”), and the Constitutional Rights Foundation. Tom served as President of the OCBA from 2014-2015. He has been selected to the Best Lawyers® list every year since 2009 and has been a Super Lawyers® honoree every year since 2006. Tom was named Orange County’s “White-Collar Lawyer of the Year” for 2011 by Best Lawyers®, has been selected as “America’s Top 100 Attorneys” for Southern California and as the National Trial Lawyers “Top 100,” and is recognized repeatedly as one of the “Top 50 Lawyers in Orange County” by Super Lawyers®. Tom has also served as a Lawyer Delegate to the Ninth Circuit Judicial Conference. Louisiana State University, B. A.